212 pages | 19 B/W Illus. This practical book outlines how you can challenge students to grapple with complex problems and engage more meaningfully with information across the content areas, rather than rely solely on rote memorization and standardized testing to measure academic success. 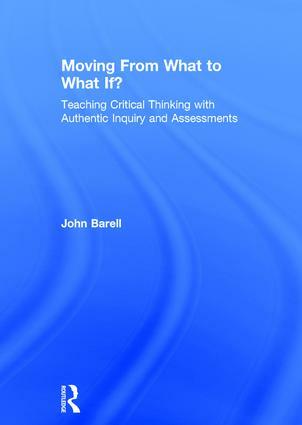 Author John Barell shares vignettes from effective middle and high school teachers around the country, analyzes what works and what doesn’t when encouraging students to dig deeper, and offers practical strategies that you can try in your own classroom. Encouraging students to set learning goals and drive their own achievement. Aligned with the Common Core and other standards, this book will help you teach students to become inquisitive, engaged citizens who wonder about the universe, stretch their imaginations, and solve problems by asking, What If? John Barell is Professor Emeritus of Curriculum and Teaching at Montclair State University, and a former public school teacher in New York City.